Examining the arc of antagonistic coevolution in Depp’s career by peering through the looking glass. In a juicy quirk of fortune, it just so happens that Lewis Carroll’s “Through the Looking Glass” (the source material for the upcoming film), also happens to be the namesake of an evolutionary concept known as the Red Queen Hypothesis (RQH), a theory that I believe could explain Johnny Depp’s increasingly bizarre career trajectory. Borrowing the title from Carroll’s imagination, the RQH is a theory that explains antagonistic coevolution, a term that describes what is essentially an arms race between two species centered around one trait. Modern agriculture provides an illustrative example of the phenomenon. When a mutation enables an insect to survive a pesticide, that insect reproduces offspring that are immune to that particular strand of poison. As a result, chemical engineers then alter and strengthen the pesticide, killing the new generation of bugs until another one mutates, reproduces and forces scientists to retool again, further escalating the arms race. In nature, the RQH often revolves around the trait of running speed. Foxes must outrun rabbits so they can eat them, survive and reproduce, while rabbits must outrun foxes so they can survive and reproduce. Thus, every generation of foxes and rabbits has to get faster just to stay the same. In addition to its instances within the animal kingdom, RQH also appears to be the catalyst behind the increasing eccentricity of Johnny Depp. 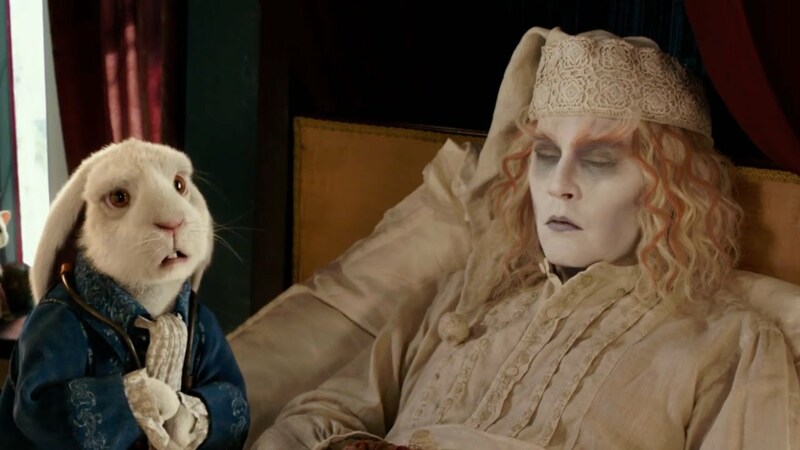 As the rabbit runs faster to survive, so Depp becomes more outlandish to stay relevant. To test our hypothesis, we’ve traced Depp’s career along its vertiginous path by grouping it into three distinct categories: Quirky Leading Man, Pushing the Envelope and The Depp End. That an actor could be as comfortable playing a drug-addled Hunter S. Thompson as he was playing drug kingpin George Jung provides a glimpse into the mood of a decade. 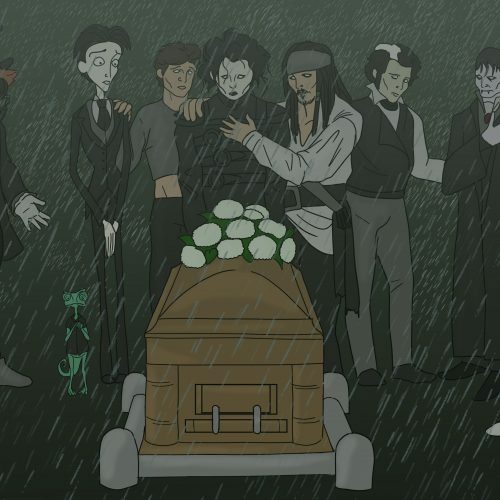 Depp entered the 90s as a charming nihilist, a figurehead for an artistic community that was attempting to come to grips with the aftermath of the Reagan administration: a seemingly soulless, money-driven, corporate world. Alongside Depp in this emergence was the music of Kurt Cobain, the films of the Coen Brothers and even the comedy of Jerry Seinfeld and Larry David. In his early career, Depp was able to speak to an audience that wanted to be spoken to in a certain way. His films were bizarre, dark, and sometimes (in the case of “Fear and Loathing”) impenetrable, but they were also always soulful. As Depp continued to push the envelope, the quirks of his characters began to overshadow their messages. In stage two Depp became Jack, er, Captain Jack Sparrow, and die-hard Depp fans often call time of death as 2003. Still, Depp’s performances during this period garnered his most widespread critical acclaim. 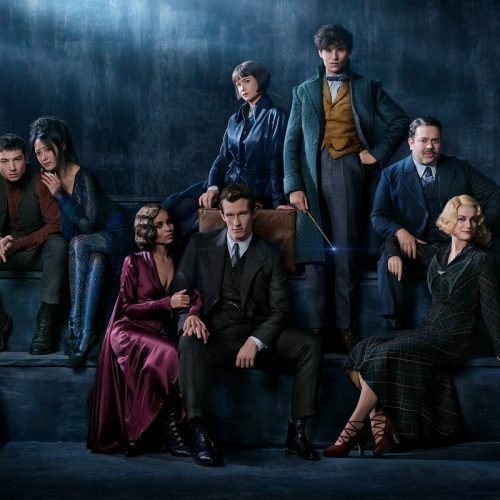 In both “Charlie and the Chocolate Factory” and “Sweeney Todd,” Depp donned whiteface, pranced around like a maniacal French pantomime and had audiences begging for more. Would anybody have been surprised to discover that Depp’s Willy Wonka ate the children that stepped off the straight and narrow? Despite the bizarre streak, demand for a darker Depp persisted. The difference was that now when he removed the makeup his emotional overtures were flat, his subtlety leaden. I remember watching “Secret Window” and “The Libertine” and simply being unable to imagine that this was Jack Sparrow. In 2010, Depp became a punchline. 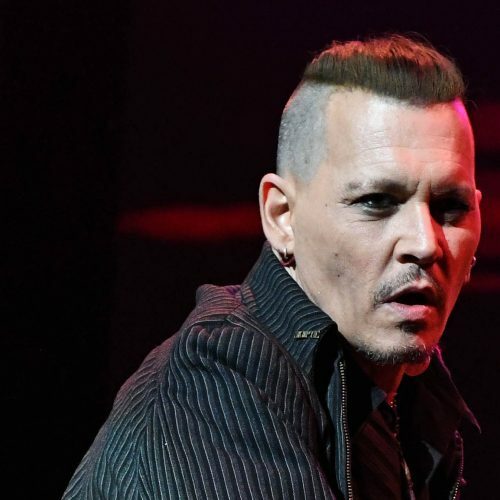 Wearing makeup and acting like a drunk playing charades lost its appeal, and although Depp continued to up the ante, his performances ceased to speak to anything. “The Lone Ranger” and “Mortdecai” flopped like Manu Ginobli in a playoff game, and even “Transcendence,” a movie about the metaphysical ethics of uploading a man’s consciousness to a machine, felt like a teenager throwing paint on a canvas and calling it a Pollock. Luckily, “Mortdecai” may have been the wake-up call Depp needed. It was a flop of the umpteenth degree, floppier than anything Depp had ever flopped before, but it led to “Black Mass,” Depp’s most critically acclaimed work in more than a decade. 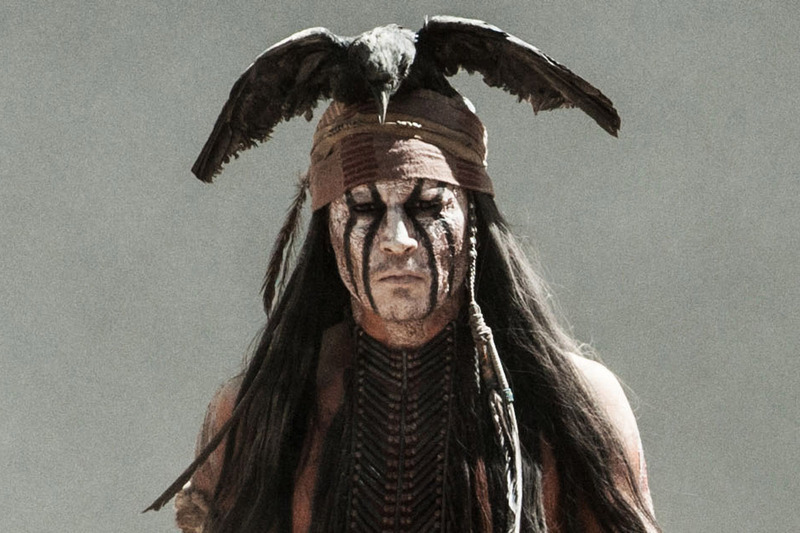 Stage Four – The Depp Renaissance? In the end, it seems that Depp’s career actually rejects the Red Queen Hypothesis. Depp’s escalating eccentricity has backfired, and his career is now a joke teetering on the edge of irrelevancy. To save it, Depp has to abandon the oddities arms race and de-heighten (I guess heightening became ethical when “Seinfeld” went off the air). Depp followed the success of “Black Mass” with an amazing “Art of the Deal” spoof for Funny or Die, both of which received positive reviews and heralded Depp’s performance as the most critically-acclaimed element. Unfortunately, in addition to the upcoming “Alice Through the Looking Glass,” Depp is also bejangling up for the fifth installment of Captain Jack Sparrow with “Pirates of the Caribbean: Dead Men Tell No Tales” in 2017. There is reason for hope, though. Depp will lead in a remake of “The Invisible Man,” which will (hopefully) require no white makeup, and is also rumored to star in “Triple Frontier,” a drama directed by Oscar-nominated director J.C. Chandor. 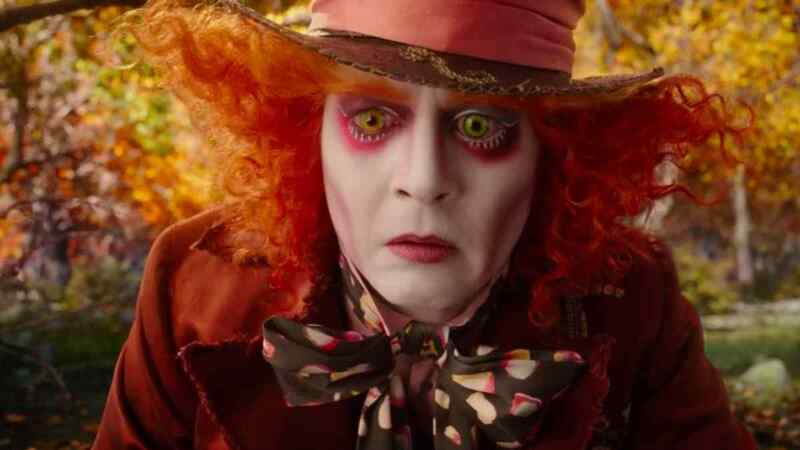 It appears that if he plays his cards right, Depp, like the Hatter in “Through the Looking Glass,” might be able to outmaneuver the Red Queen after all.